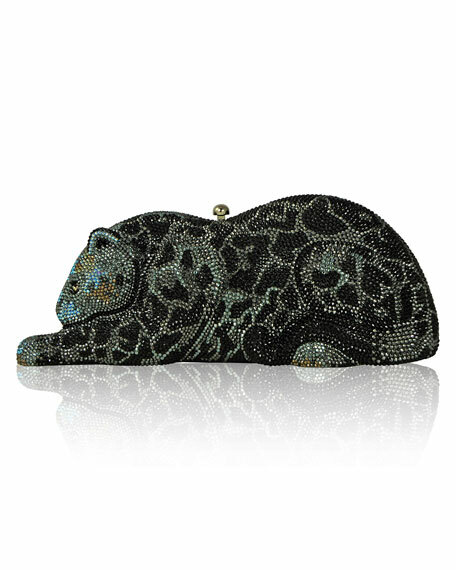 Judith Leiber Couture brass wildcat-shaped minaudiere, fully beaded with Austrian crystals. Framed hard-shell case with golden hardware. Removable chain strap; 9.5" drop. Approx. 2.5"H x 8.5"W x 2.5"D.
For in-store inquiries, use sku #634475. 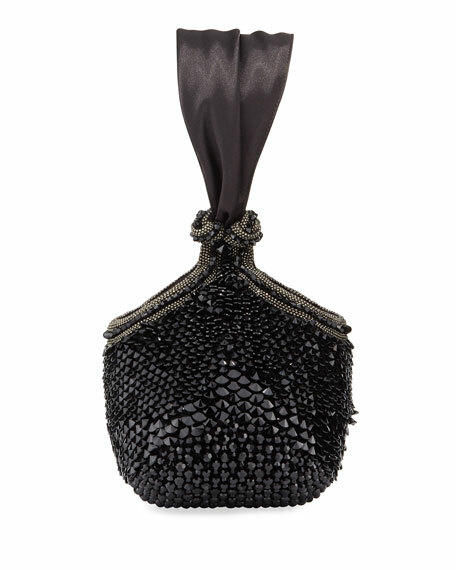 Bea Valdes "Bella" jeweled satin clutch bag with silvertone beading. 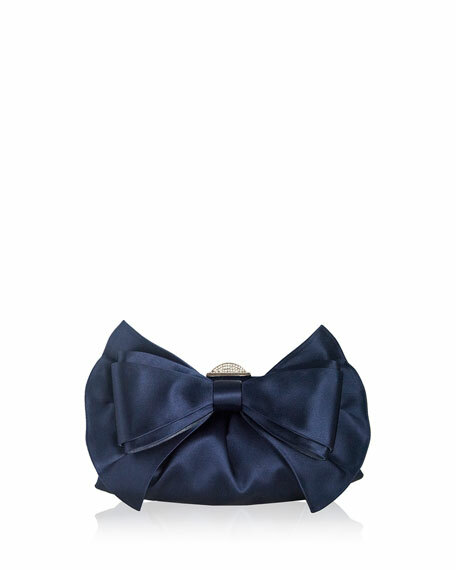 Wide ribbon top handle, 4" drop. Open top. Knot detailing at upper sides. Interior, fabric lining. 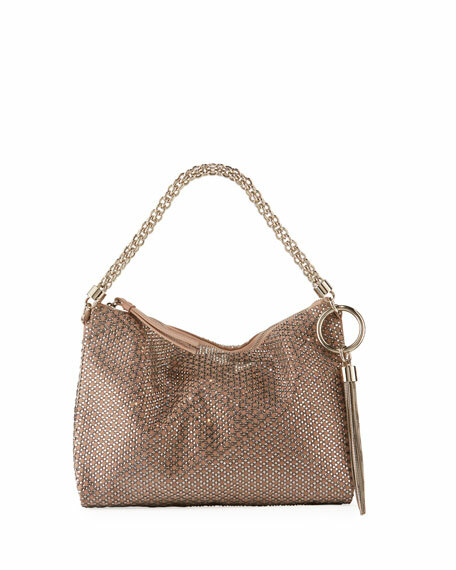 7"H x 6"W x 3.5"D.
Jimmy Choo "Callie" crystal-embellished suede clutch bag with silvertone hardware. Chain top handle, 4" drop. Zip top with leather pull. Exterior, logo-engraved ring and chain tassel. Interior, satin lining. 7"H x 9"W x 2"D. Made in Italy.